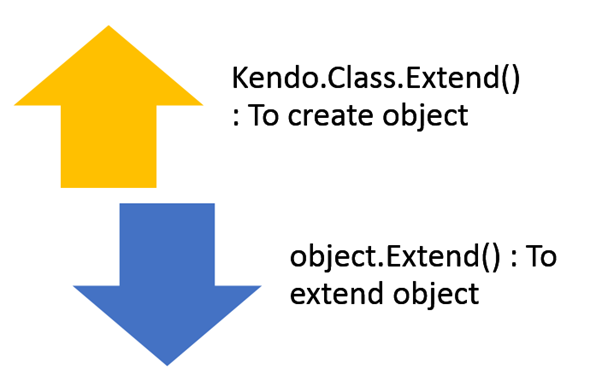 Kendo UI gives you different syntax to create object and for inheritance. In kendo UI , you can create object with Constructor as well. Using init method you can add a constructor to object. In below code snippet we are creating object with constructor. Above we are creating object passing argument to constructor and then calling sayGreeting() function as well. As output you will get alert message. Now we can extend object using extend method. As you see that we added two more properties in child object. Let us go ahead and create a new instance of this object. Above we are overriding color property of parent class and calling method of parent class. As a output you will get overridden value of color and parents value for model.